Photo gallery of Avril Lavigne wearing chucks casually and in performance. 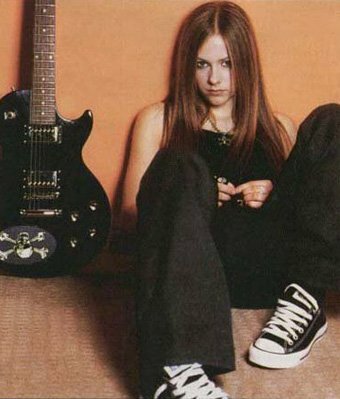 2 Avri Lavigne Avril sits alone, next to her guitar sporting her black low cut chucks. 3 Avril Lavigne Avril with other guys wearing chucks. 4 Avril Lavigne Avril stepping out of a van. 5 Avril Lavigne Avril walking down a hallway. 6 Avril Lavigne Avril leaving a conference room. 7 Avril Lavigne Avril walking toward a hotel. 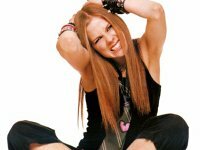 8 Avril Lavigne Posed photo. 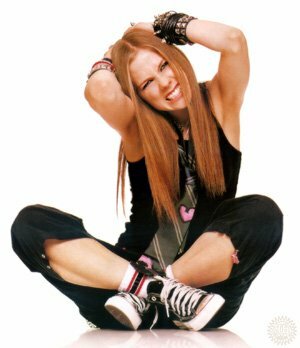 9 Avril Lavigne Avril seated in a chair wearing black high top chucks. 10 Avril Lavigne Avril in performance wearing pattern low cut chucks. 11 Avril Lavigne Avril on the street wearing black low cut chucks. 12 Avril Lavigne Avril and he boyfriend entering a Paris restaurant. 13 Avril Lavigne Avril seated on a doorstep. Photo gallery of Avril Lavigne and some of her friend who wear chucks.